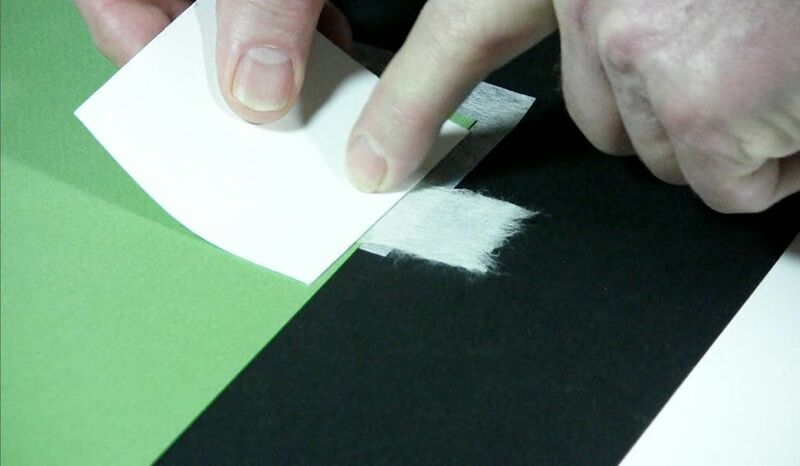 Learn the techniques used by conservators for attaching Japanese paper hinges to fine art works on paper. 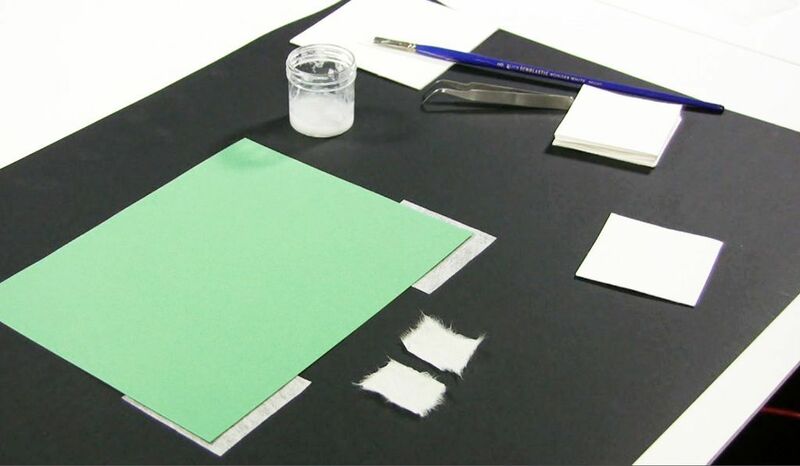 This is the time honored method for ensuring the safety of the art using wheat paste and Japanese papers. The same techniques are applicable when using archival tapes. 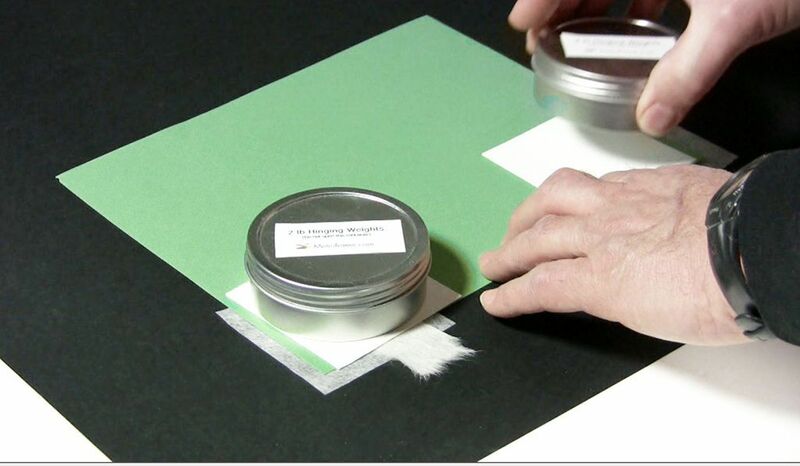 Place your artwork face down on hinging separators and assemble the tools and supplies. 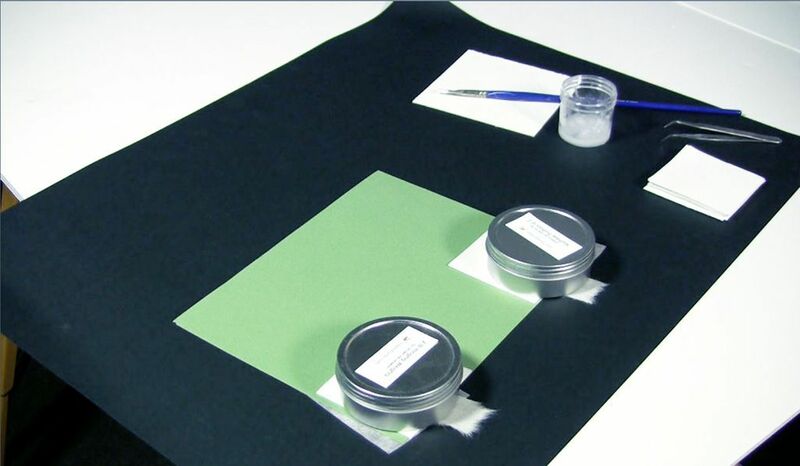 In addition to the hinging separators, you will need wheat paste, a brush, tweezers, blotters, and the hinges. Apply the wheat paste to the hinge. 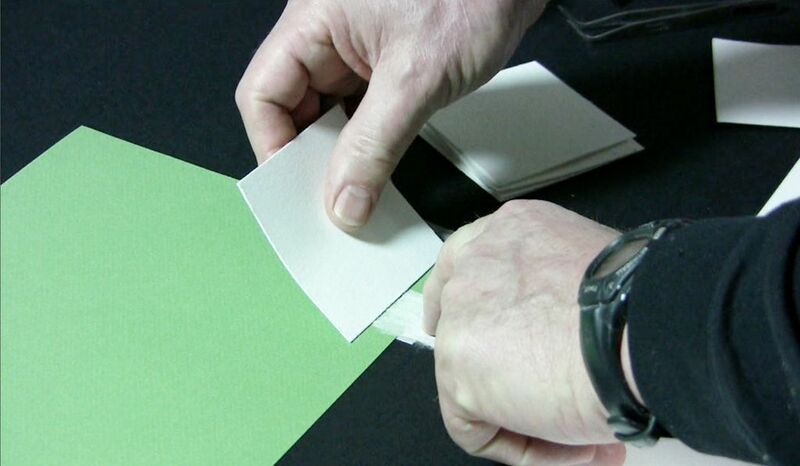 Take a blotter and apply it over the hinge only exposing the area of the hinge that you want to apply the glue. The hinge should only have the paste applied to the top of the hinge. 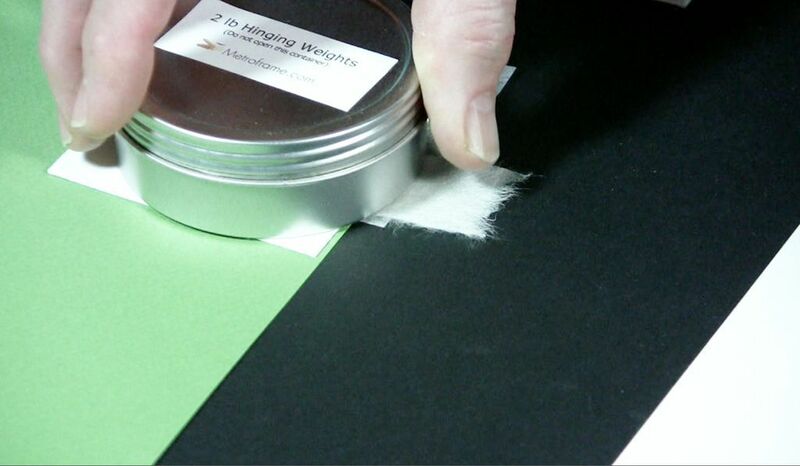 Use your tweezers to turn the hinge over and place it on the back of the artwork. Place a weight on the blotter. Let the hinges dry for at least one hour and then remove the weights. The hinges will look like this when done. 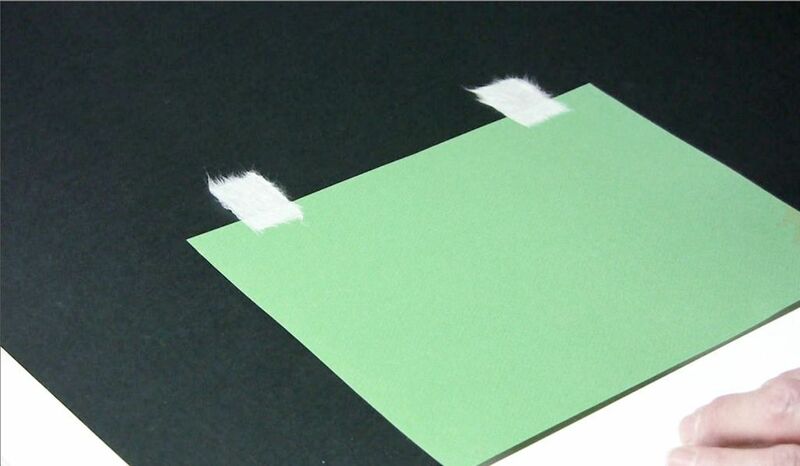 You are now ready to turn over the artwork an attach it to a backing board.